The Palestinian Center for Human Rights (PCHR) strongly condemns the Israeli authorities decisions to tighten the closure imposed on the Gaza Strip, completely close the sole commercial crossing “Karm Abu Salem” and ban the entry of fuel, gas, goods and basic needs for the Gaza Strip population. 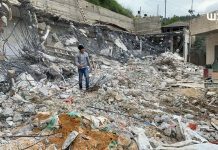 PCHR warns of the catastrophic consequences of these decisions on the lives of 2 million Palestinians suffering from serious deterioration of humanitarian, economic and social conditions resulted from these measures. PCHR calls upon the international community, especially the High Contracting Parties to the Fourth Geneva Convention of 1949, and all humanitarian organizations to immediately intervene in order to stop these decisions, lift the closure, and open all crossings to ensure the entry of all the Gaza Strip population’s needs, especially basic goods. Moreover, PCHR affirms that these decisions were the culmination of several previous decisions that the Israeli authorities have implemented since June 2007 in the context of a plan to tighten the closure imposed on the Gaza Strip. According to PCHR’s follow-up, on 01 August 2018, the Israeli Defense Minister, Avigdor Lieberman, issued a decision to ban the entry of fuel and gas into the Gaza Strip through Karm Abu Salem crossing starting from Thursday until further notice. 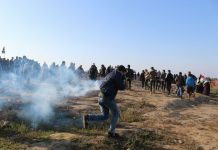 According to the Israeli statement, this decision was taken in response to the continued firing of incendiary balloons and the ongoing Return demonstrations’ activities near the Gaza Strip borders. The Israeli authorities previously issued a decision on 16 July 2018, to completely close Karm Abu Salem crossing, except for the entry of food, medical supplies, fuel and gas only when needed. Upon the same decision, the Israeli authorities reduced the fishing area in the Gaza Strip to 3 nautical miles instead of 6. The Israeli authorities also claimed that this decision was taken in response to flying incendiary kites and balloons by Hamas towards the areas adjacent to the Gaza Strip. The Israeli authorities have tightened the closure imposed on the Gaza Strip, which entered its 12th consecutive year in mid-June since Tuesday, 10 July 2018, and decided to close Karm Abu Salem crossing and prevent the entry of goods into the Gaza Strip, except for the entry of some humanitarian goods, including food, medicine, fuel, and gas. Furthermore, the Israeli authorities imposed a complete ban on exporting and marketing goods from Gaza Strip. Upon the same decision, the Israeli authorities reduced the fishing area in the Gaza Strip to six nautical miles instead of nine. The closure measures threaten all aspects of life in the Gaza Strip, and PCHR is concerned over the collapse of all basic services needed by the Gaza Strip population. 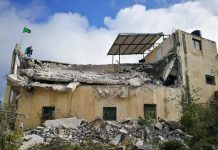 These services already suffer from a serious deterioration for years due to the closure imposed on the Gaza Strip. 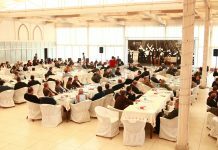 Concerning the health sector, and taking into account the dependence of hospitals and medical facilities on fuel to operate generators in light of the power outage for more than 20 hours a day, the Ministry of Health has taken austerity measures as it reduced providing services for civilians. This reduce included providing diagnostic services and conducting surgical operations. The number of delayed operations during the past 3 months was about 7000 surgeries. Furthermore, the lives of about 2000 patients staying in the Gaza Strip hospitals are in real danger. Patients, particularly cancer, cardiac, and dialysis patients and preterm infants in the nursery sections and Intensive Care Units (ICU), are mostly exposed to danger, in light of the deterioration of the health services. Moneer al-Bursh, Director General of Pharmacy in the Health Ministry, said to PCHR’s fieldworker that the Ministry of Health suffers from a severe shortage in medicine and medical consumables. The current deficit rate is 48% of the lists of medicines and medical consumables that are needed for patients and health facilities, including 42 types of the cancer medicines i.e. 65% of the total medicines needed for cancer patients. This led to obstructing a large number of treatment protocols for this disease. Al-Bursh pointed out that one type of these medicines could stop a full therapeutic service. In terms of water and sanitations, the fuel running out would lead to pumping the sewage water to the Gaza Strip shores without recycling it. Laboratory tests made in last April by the Environmental Quality Authority and Ministry of Health in the Gaza Strip shown that 75% of the 40-kilometer coastal water is polluted with sewage due to the power outage crisis. According to statement of Bahaa Eddin al-Agha, Director of the Environment Protection in the Environmental Quality Authority, and in light of stop providing fuel for sewage treatment plants Department in the Environmental Quality Authority in the Gaza Strip, it is expected to completely stop treating the sewage water, which means a daily pumping of about 115,000 cubic meters of the untreated wastewater to the Gaza Strip shores. On 21 February 2018, the Municipality Union in the Gaza Strip issued a decision to completely close the Gaza Strip shores to pump the wastewater due to the municipalities’ inability to provide fuel for the treatment plant. The Environmental Quality Authority warned of swimming in Gaza, Jabalia, and Beit Lahia shores, which are the most vulnerable to pollution. The Gaza Strip sea is considered the only outlet for more than 2 million Palestinians living in the Gaza Strip in light of the Israeli closure and the power outage most of the day hours. The economic sectors are facing a real disaster in light of the new closure measures. Ali Hassan al-Hayek, Chairman of the Palestinian Businessmen Association (PBA), warned of a wide collapse in the Gaza Strip economic system due to total stopping the exports movement from inside and outside the Gaza Strip and the Israeli forces’ prevention of the entry of about 400 types of basic goods to the Gaza Strip through Karm Abu Salem crossing. Al-Hayek added that banning exports and restricting imports has reduced the work in the Gaza Strip factories to the lowest of its abilities. This caused an imbalance in the money flow in markets, a paralysis in financial transactions for traders and businessmen and a large rise in the prices of materials, which are prohibited from entering the Gaza Strip, making the purchasing movement reached its minimum levels. this is a clear indicator of the outbreak of the political crisis. Since tightening the closure on the Gaza Strip, the Israeli authorities are detaining about 2,500 containers of raw materials, industrial and commercial goods, causing great losses for the Gaza Strip traders. The new Israeli measures will deepen the humanitarian and living crises in the Gaza Strip, especially increasing an unemployment rate, poverty and food shortages in the Gaza Strip. Before imposing these measures, the Gaza population suffered a serious rise in unemployment rates, reaching 49.1% i.e. 255.000 unemployed workers. The highest unemployment rate among young people aged between 15 to 24 for both genders reached 64.8%; 57.1% of which for males and 85.0% for females. More than half of Gaza’s population suffers from poverty. According to the Palestinian Central Bureau of Statistics (PCBS), the poverty rate among Gaza population is 53%; 33.8% of them live in extreme poverty. The consequent decisions related to the closure of the only commercial crossing, imposing restrictions on the imports and banning exporting goods from the Gaza Strip are part of the framework of the complete closure policy imposed by the Israeli authorities on the Gaza Strip since June 2007, as the crossings have witnessed tight restrictions on the movement of goods and persons for 12 years. Regarding commercial crossings, the Israeli authorities continue to impose strict restrictions on the entry of goods classified as “dual use materials.” The Israeli authorities officially list 118 items as “dual use items” which contain hundreds of goods and basic materials. The items on the “dual-use goods” list are essential to the life of the population, so imposing restrictions on them contribute to the deterioration of infrastructure and the deterioration of economic, health and education conditions. These items include communications equipment, pumps, large generators, iron bars, iron pipes in all diameters, welding equipment and welding rods used in welding, various types of wood, UPS devices that protect the electric devices from breaking down when the electricity suddenly cuts off, X-ray machines, cranes and heavy vehicles, types of batteries and several types of fertilizers. The Israeli authorities also continue to ban the export of Gaza Strip products, excluding limited quantities of 5% of monthly exports before the closure in June 2007. Regarding the crossings points for individuals’ movement, the Israeli authorities continue to impose tight restrictions on the movement of the Gaza Strip residents through Beit Hanoun “Erez” crossing, except for limited categories of individuals. Since the beginning of this years, the percentage of refusing permits granted by the Israeli authorities to these categories has increased. As a result, the number of patients allowed to travel via the crossing was decreased. Moreover, the number of patients’ companions, businesspeople, relatives of prisoners in the Israeli jails, workers of international humanitarian organizations, persons travelling via al-Karama crossing, people with special needs, elderly persons allowed to perform prayers in al-Aqsa mosque, and Christians allowed to attend holidays in Bethlehem in occupied West Bank, were decreased as well. Immediate and urgent intervention to put this decision to an end, open the only commercial crossing for the Gaza Strip, “Karm Abu Salem”, allow the entry of all the Gaza strip population’s needs, including basic goods and construction materials, and allow the export of the Gaza strip goods freely . Force the Israeli authorities to abandon the policy of collective punishment imposed on the population of the Gaza Strip, including the closure of the crossings, which leads to a serious deterioration in the civilians economic and social rights. Remind Israel of its obligations as an occupying power of the Gaza Strip to its population, in accordance with Article 55 of the Geneva Convention of 1949, which states: “The occupying Power shall, to the fullest extent of its means, provide the population with food and supplies and must take into account the needs of the civilian population”. The High Contracting Parties to the Fourth Geneva Convention must comply with their obligations under article 1 of the Convention to ensure the implementation of this Convention by the Occupying Power of Israel to the protection of Palestinian civilians. Immediate and urgent intervention to ensure the respect of the rules of international humanitarian and human rights law in order to stop the serious deterioration in the lives of the civilian in the Gaza Strip. 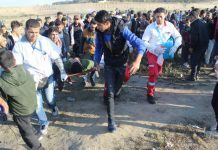 Next articleIsraeli Forces Continue their Crimes in Gaza Strip and Target Palestinian Civilians Participating in Return and Breaking Siege March Civilian killed and 98 Others Wounded, Including 10 Children and Woman.